It's a contemporary look for Old Glory with the hand painted American flag shaped into a star. 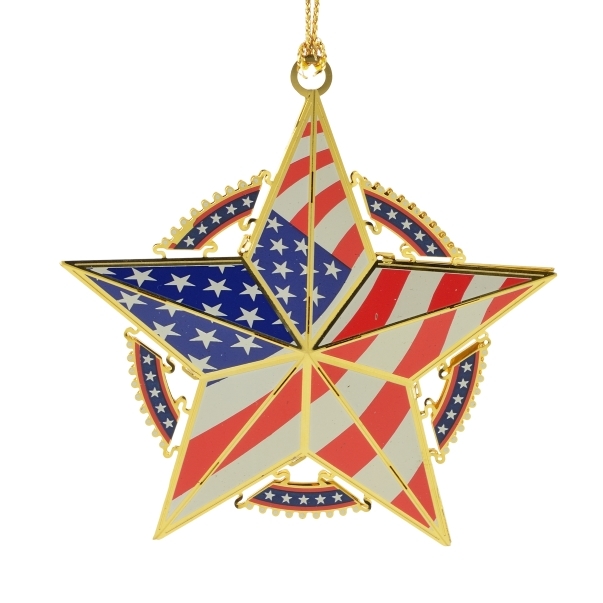 The creative artists hand tooled the patriotic ornament from brass and finished it in 24kt gold. Then, we carefully pack it in a lovely velvet lined box.